Odyssey's pro-quality carpeted DJ coffin case has turntable wells positioned sideways in battle mode and a skratch mixer well in the center. 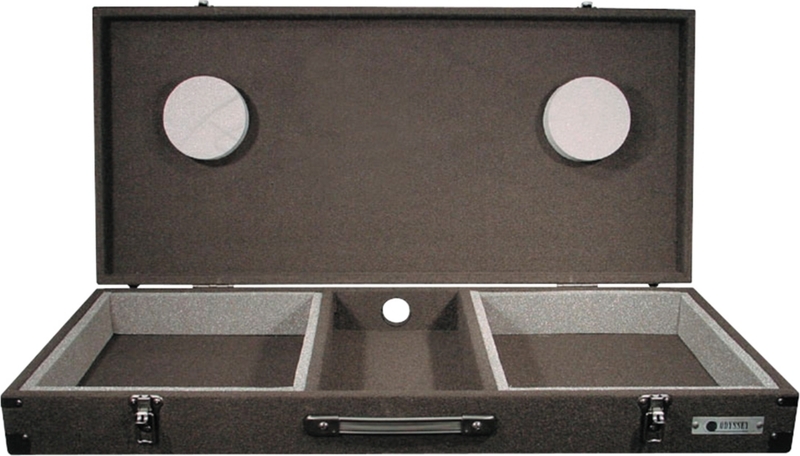 Features foam padding to cushion turntables and recessed hardware. 21W x 47L x 7D. 10 inch mixer space.